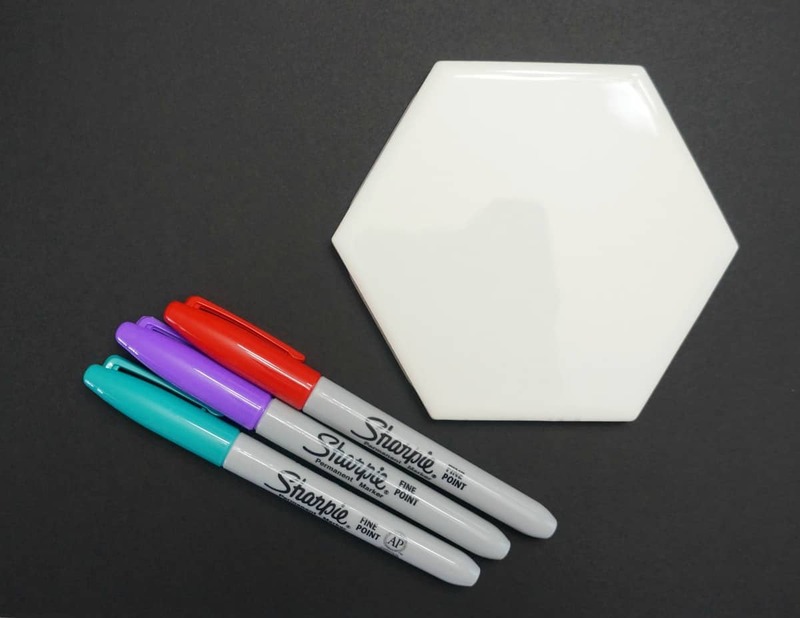 Create stunning works of art using just 2 simple supplies. You will want to try this technique over and over again, it works on tile and glass leaving a unique design each time. 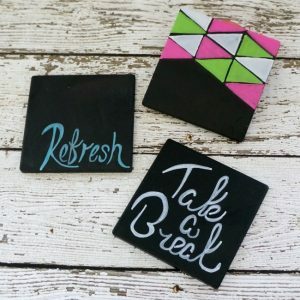 I’m sharing a new favorite craft technique today, be sure to watch the video and read on for details on this tie dye tile art. 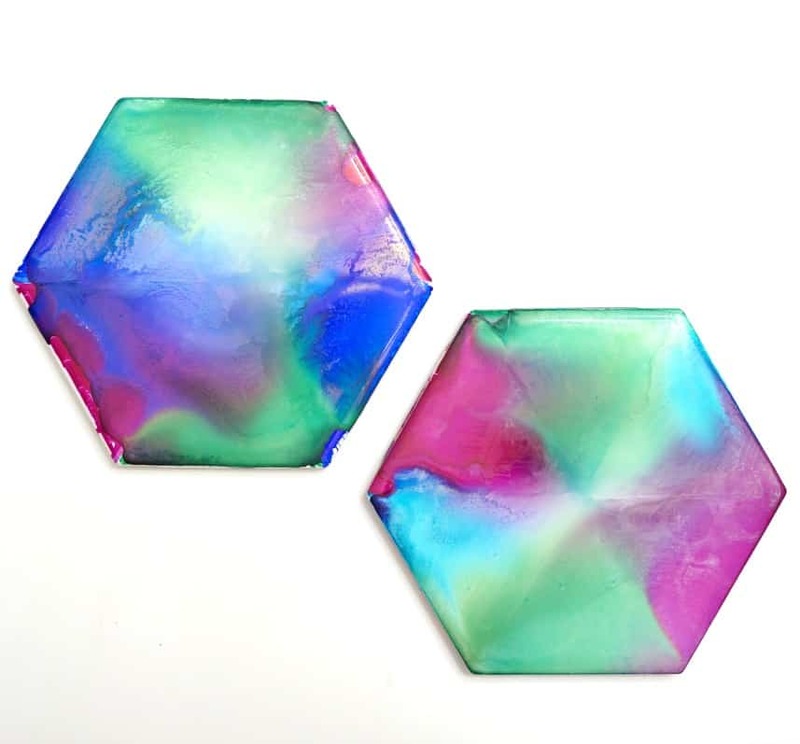 Watch this video then get all the details below on how to create your own tie dye tile art. I love the look of swirled colors, the kind of effect you get from tye dye fabric or stained glass. I wanted to try my hand at a technique I have seen that makes colorful swirled art using just 2 simple supplies. 91% Isopropyl Alcohol – find this in the first aid section of your local store. I started by cleaning my tile and letting it dry. Next, I filled in blocks of color on the tile using coordinating colors of permanent marker. Once it was colored fully I moved the tile to a paper plate to protect my table. I let the ink dry for a few minutes then took a medicine dropper full of the alcohol and dropped it onto the ink. Instantly the color started to swirl. I added a few more drops then gently swirled my tile around mixing the colors. I let the tile dry fully before touching it. This technique was too much fun to try just once. I went on to design a few tiles using various styles of color blocks. You can create different effects using a paint brush dipped in alcohol or just dropping the alcohol onto the color and not swirling it around. This technique can also be used on glass creating a stained glass effect. It looks amazing on a piece of glass in a picture frame, which can be displayed near a window to filter light. Tiles like these are often used as coasters. 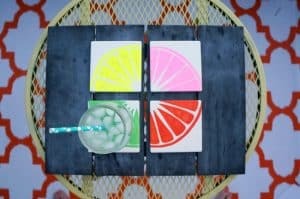 If you choose to use your tiles as coasters be sure to seal them first, I recommend an acrylic sealer like this one. It’s a good idea to seal them even if you just want to display these tiles, a clear acrylic coat will keep the art in tact. Even when dry, without a sealer, this ink can still smudge with over use. 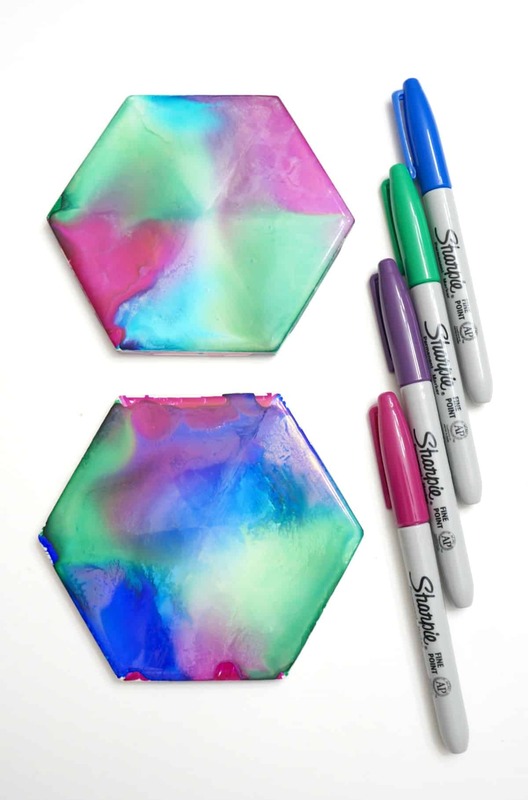 Now that you know how to makes this beautiful tie dye tile art, tell me what you will create? I love the way they turned out. What a fun project! There’s a lot you can do with these tiles. Can’t wait to try it!